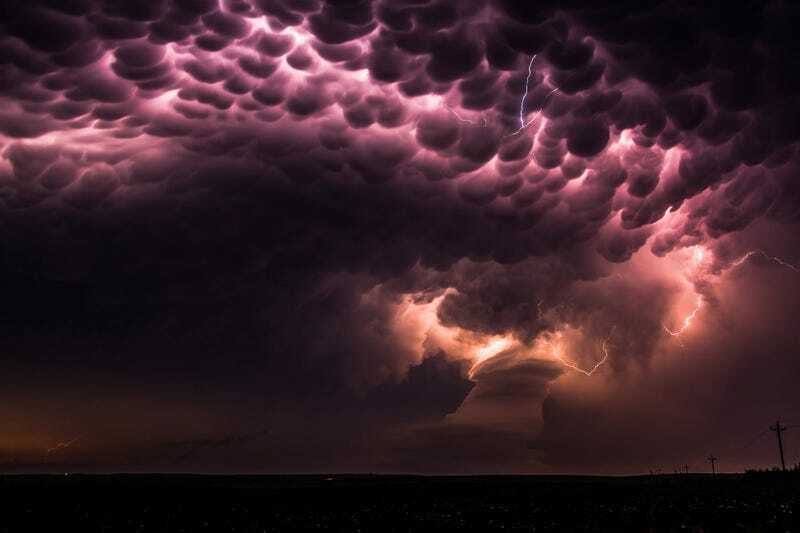 Check out this unbelievable storm photograph by Anne Goforth—her entry for the 2013 National Geographic Photo Contest. And check Sploid a selection of our top three favorite photos in each of the three categories: people, places and nature. Taken on May 26th, 2013, this was a dissipating low precipitation thunderstorm near Broken Bow, NE that produced one of the best lightning shows I have ever witnessed in my storm-chasing career. Even more beautiful was when the lightning lit up these incredible mammatus clouds in the night sky. These type of clouds are often associated with severe thunderstorms, and their ominous and foreboding appearance is a message to all that severe weather may be on its way.